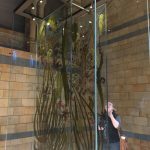 On July 14th Natural History Museum in London re-opened Hintze Hall after a temporary closure for 6 months. 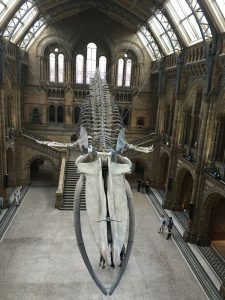 The closure was not one that came without comments and controversy – it was to remove the beloved Dippy Dinosaur to replace it with the Blue Whale. Now I absolutely Love Dippy. I even was involved with the ‘I Love Dippy’ campaign NHM put on a few years ago (seriously). I have supported the idea of Hintze Hall changing even though a part of me was nervous. However, trusting the people who run the museums was easier as they were transparent. Plans were available for public, discussions were public. Natural History Museum is my favorite museum in the world. Honestly. And I’ve been to a lot internationally. It’s never been about the collection and I’ve always been honest to them about it. My love has always been about how I felt seeing the building then experiencing it. The building has an amazing energy, the collection is almost a bonus! 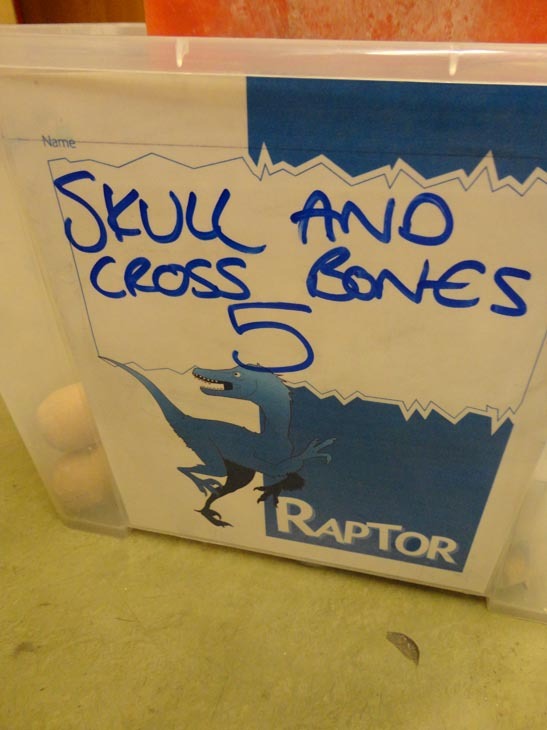 The museum has a very confusing personality: It’s a family museum, it’s a natural history museum, it’s a geography museum, it’s a dinosaur museum, and of course it’s a research museum. 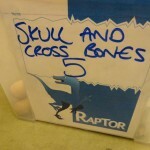 That last one is the most important: Natural History Museum is about research and conservation. FIRST. While public facing means they have to be for all, they truly have had an original mission they have with conservation. 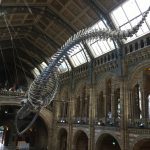 This is why the Blue Whale in the new Hintze Hall made complete sense. Hope, as the Blue Whale displayed is now called, was a Blue Whale beached in Wexford Harbour Ireland in 1891 (ten years after NHM opened). It was purchased by the museum and put on display in 1934 in the Mammal Hall. The Blue Whale is the first species humans globally decided to conserve. It took until 1966 for the decision to be made but by then NHM and others have already started the research. 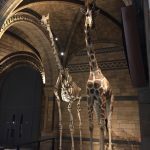 Dippy is about an extinct reptiles (the past) while Hope is about conservation (the future) Also need to point out that Dippy was a plaster cast replica – it never actually existed! The Blue Whale has. And this is what NHM future is about. Yes we need to remember and respect the past but we also need to look to the future for lessons. Being at the opening on the new Hintze Hall is a memory I will never forget. Being one of the first to see the spectacular Hope along with the new displays around both the first and second floor was emotional if I’m honest. Western Wonder Bays with Giraffes, Turbinaris coral, blue marlin, seaweeds and insects. I was fortunate to have a one to one chat with Sir Michael Dixon, Director of Natural History Museum. While we stood up on the second floor looking down on the new hall, he explained some of the challenges outside the Team Whale vs Team Dippy (which he didn’t know it was named that and found it humorous). We talked about the conflict of the museums personality, how much thought has gone into the new design and why it matters. For the new design, on the second floor they have very large display cabinet with collections that reach way about what any normal eye line would be. Sir Dixon explained this was so people on the first floor will look up and explore upstairs, something they have struggled with the public during before. Also there are several items which are being displayed in a way never attempted before (the Seaweed and Blue Marlin were examples provided). 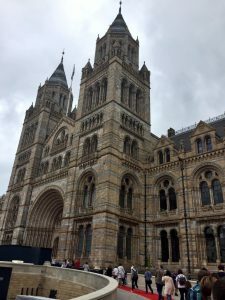 Natural History Museum is always worth a trip but no more than ever you should ensure it is on your list of museums to visit. Also a reminder that NHM is right next to the wonderful Science Museum and V&A (Victoria and Albert Museum). 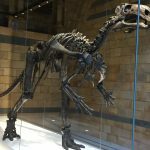 For those who still want Dippy back, please go see him while he tours around the Uk! 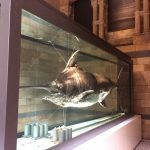 Each partner will use Dippy’s visit to showcase their local nature and natural history collections, building partnerships between regional cultural, scientific and wildlife organisations. For more details, see their website. And do let me know if you can see Hope or Dippy on Tour! Would love to know your thoughts! Enjoy a 360˚ look at Hope the #BlueWhale and the new #HintzeHall during today's exclusive preview for the winner of our Hintze Hall free prize draw, and the runners-up. We had nearly 17,000 entries to the draw and the lucky winner was Laura Willis. We hope she and her guests, and the runners-up all enjoyed the morning before we opened to the public for the day.